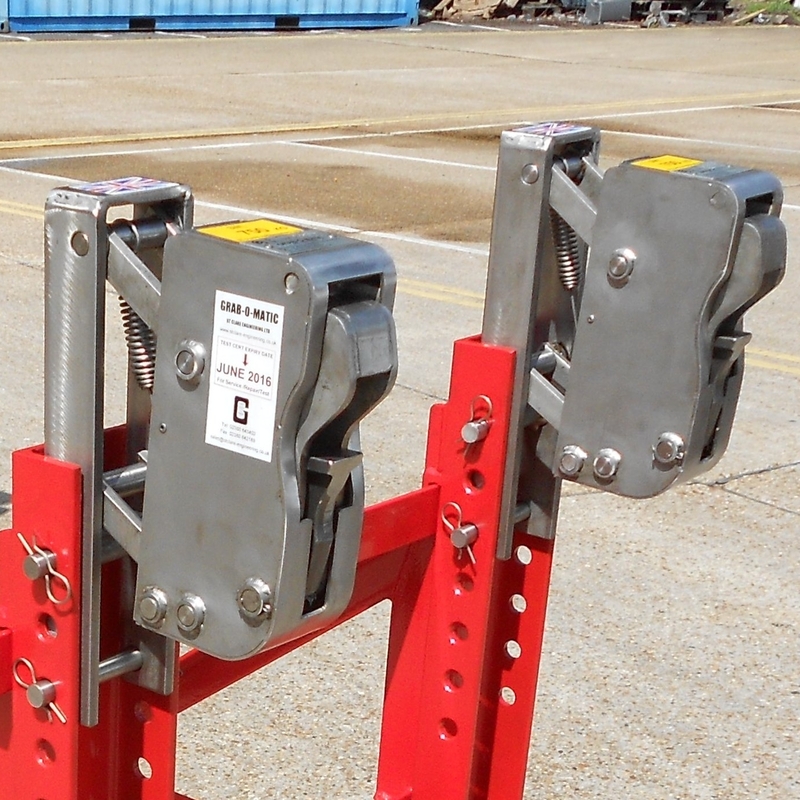 The Grab-O-Matic Quick Release ATEX Red Stainless Steel Double Drum Handler model QR-2-DLR-P-ST/ST is a quick attach/release fork attachment suitable for use in zoned spark proof areas. All parts that are likely to contact the drum or cause a spark are manufactured in stainless steel including all internal parts of the gripping heads. 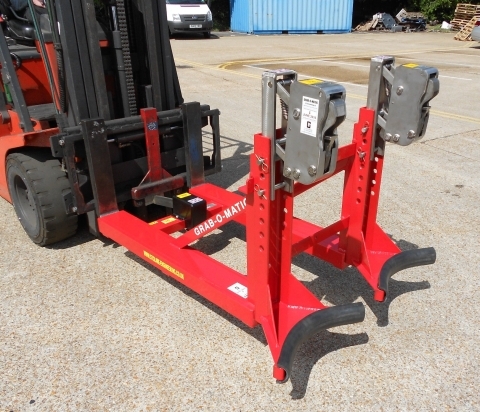 The unit is suitable for all steel open top and tight head drums, plastic ‘L’ ring drums and most fibre board drums and is attached to the forks with a stainless steel quick attach/release system. These units are manufactured bespoke to suit customer requirements. 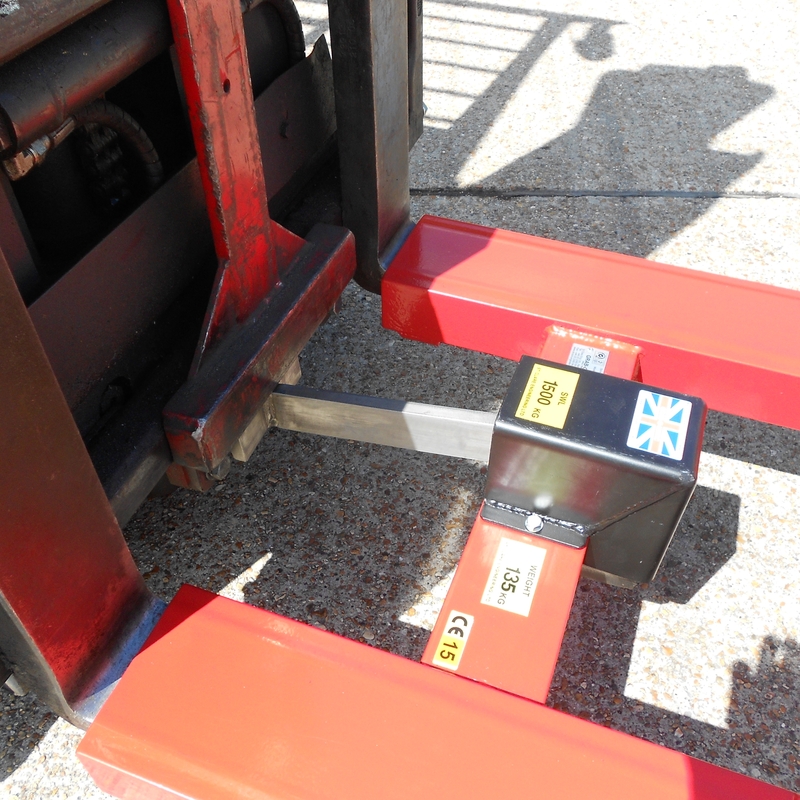 Quick release lever attaches the unit to the fork truck. 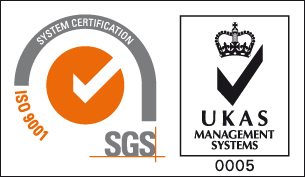 Manufactured from stainless steel for use in ATEX or clean area environments.